The Food by Phone project is a complete redesign of the order entry system, including phone operator key entry interface, database process, re-engineering of flow and capture of information to make the sales team more efficient and deliver a better customer service overall. The redesign also included a newer definition of dishes availability and Restaurant promotion, using entirely automated script to ensure ordering dishes at the optimized price for the consumer, who can at a glance view all current promotions as he makes his choices. In this project, SafeComs also completely redesigned the backend system to manage ordering to Restaurant, managing swift delivery, dispatching messengers from an optimized standby point, all geared towards customer satisfaction. The new application also manages all functions of packaging material, monitoring revenue per Restaurant and produces statistics per operator, messenger, dishes, Restaurant, time of the day etc! 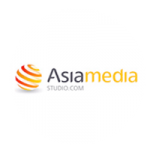 The global project is a cooperation of two complementary teams, and while SafeComs took care of the complete programming of the database functions and management and redesign of the information flow and capture to make ordering easy and intuitive, the excellent ‘Look and Feel‘was created by Asia Media Studio a Graphic Designer Company based in Bangkok. 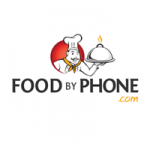 Read the Testimonial by Food By Phone’s Managing Director, Marc Hagelauer.